Some of the most overlooked but most exciting aspects of vacations are definitely the souvenirs. Once your trip has ended and you are back firmly in the grasp of the day-to-day grind, you can glance at the fun items you brought home and remember the pleasure and exhilaration of your travels — for many, this feeling can be almost as satisfying as the trip itself. 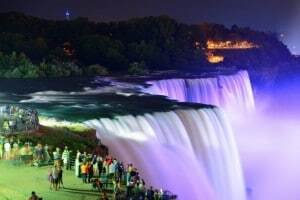 Searching for the perfect souvenir can be tricky, especially in a place like Niagara Falls, where there are thousands of different activities and attractions worth a memory or five. Luckily, we can help you find the perfect souvenir to remember your time in Niagara Falls. 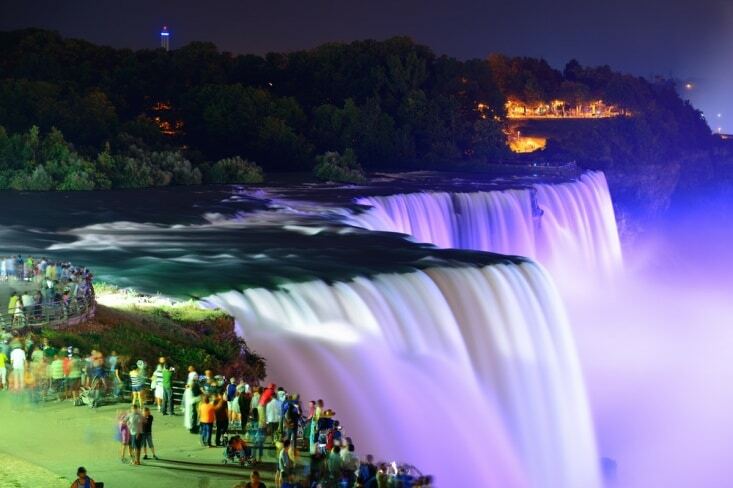 Most of Niagara Falls is nestled comfortably in Canadian territory, which means quintessential Canadian stuff is a must if you are interested in an authentic Niagara vacation. Maple syrup is delicious on more than breakfast foods: You can actually use our favorite condiment on meats, in salads, and on snacks — though we can never say no to some waffles or pancakes topped with the good stuff. 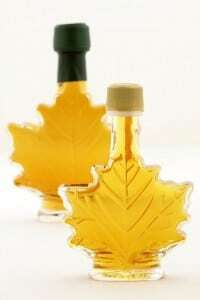 You can load up on bottles of maple syrup before you head back home, where prices are infinitely higher and quality is much, much lower. We’ve said time and time again that wines from the Niagara region rival those from more famous vineyard land in France, Italy, Argentina, and more. The fact is that it is almost difficult to make a poor quality wine in Niagara, where the fertile soils grow plump, flavorful grapes. After your tasting tour, be sure to return to your favorite cellars and pick up a bottle of your favorite varietals. While Niagara Falls isn’t the home of Hershey’s, it is certainly Hershey’s favorite vacation destination. Niagara Falls hosts one of the world’s only Hershey’s Chocolate World retail stores, where visitors can overindulge their sweet teeth with more than 800 varieties of Hershey’s sweets. Plus, Hershey’s Chocolate World has a fresh bakery counter that incorporates your favorite treats into luscious baked goods as well as a milkshake counter where you can drink thick, creamy shakes flavored by your favorite candies. You can remember your near chocoholic overdose with any of the Hershey’s-themed merchandise — clothes, candles, décor — or bags and bags full of Hershey’s chocolates. Visitors to Niagara Falls are usually here for one primary purpose: to see one of the world’s most amazing natural sights. Billions of photographs are taken of the iconic Falls every year, but many will remain hidden in digital archives to be unseen and unloved even by their takers. While social media provides an inexpensive and simple way to showcase one’s travel photos, the time-honored photo album is a personal and memorable place to store all of one’s cherished memories. People who travel widely and frequently tend to seek out particular items to showcase on their souvenir shelves. Whether your souvenir of choice is a T-shirt, a key chain, a shot glass, or anything in between, Niagara Falls has what you are looking for to commemorate your trip. In fact, there are more than three shops in the heart of Niagara Falls that specialize in all types of fun and funky souvenirs, and two stores in neighboring towns that are more than happy to fill your nostalgia needs.